Aaron Finch has put his hand up as a candidate to captain Australia. 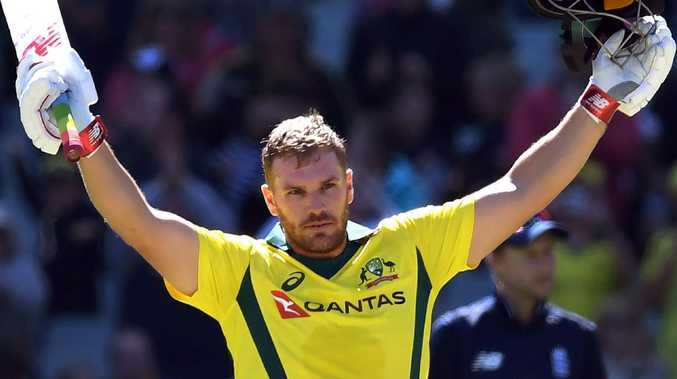 AARON Finch has put his name forward to captain Australia in the one-day arena following the suspensions of Steve Smith and David Warner. Smith and Warner are both serving 12 month bans for their parts in the Cape Town ball-tampering scandal, and while both men will be available for selection by the time the 2019 World Cup comes around neither will be considered for captaincy. Smith has been ruled out of captaining the country until mid-2020, while Warner has been banned from ever leading the side again. The more pressing concern than the World Cup is the limited overs tour of England in June. 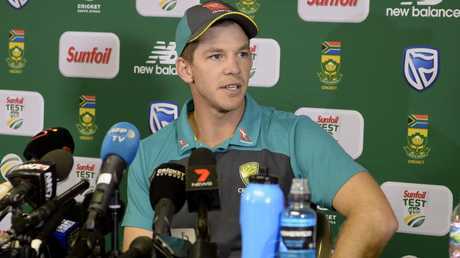 Although he has been named Australia's 46th Test captain, Tim Paine is far from a certainty to take the reins in white ball cricket. The presence of South Australia wicketkeeper Alex Carey on Cricket Australia's list of contracted players suggests Paine will be taking a lighter load in ODIs and T20Is. Alex Carey’s presence on the Cricket Australia contact list suggests Tim Paine will be taking a lighter load in ODIs and T20Is. As one of the few certainties in Australia's ODI and T20 teams and having captained both outfits, Finch appears a logical choice for the role. "I'd definitely put my hand up for it but I haven't thought about it to be honest," Finch told cricket.com.au. "It's obviously a really difficult time and some changes are going to be made in the next couple of months with the England ODIs and the Dubai Tests (against Pakistan later this year). "If the opportunity came up I'd love to take it but it's not something that I've thought about." 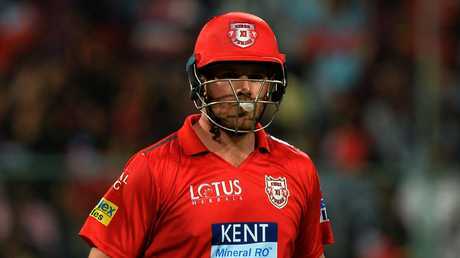 Alongside his brief stints captaining Australia, Finch has also skippered Victoria in first-class and List A cricket and has captained the Melbourne Renegades for the past six seasons. Aaron Finch has been Melbourne Renegades captain since BBL02. Despite his reputation as a white ball specialist, the Victorian is eyeing a spot in Australia's Test XI. The stocky right-hander's first-class average sits at a modest 36.41 but since scoring an unbeaten 288 against New Zealand for a Cricket Australia XI in 2015 he has averaged 49.92 in Sheffield Shield and county cricket. 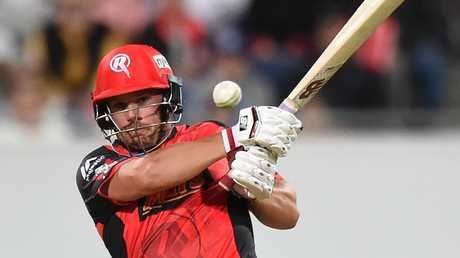 "Over the last four years, I have played really well in four-day cricket in Australia and in England, averaging about 50," Finch told Wisden.com. "That is something that's really pleasing. "In the Test team, there are a lot of very good players for Australia and a lot of guys who have been scoring runs in the last domestic season. If a spot comes up, it comes up. All I can do is keep trying to score runs." Aaron Finch has fallen for golden ducks in both his IPL innings thus far this season. Despite the suspensions of Smith, Warner and Cameron Bancroft opening up spots in Australia's Test team, Finch takes no joy from the trio's misfortune. "That was obviously disappointing for the guys," he said. "They stood up and took responsibility for it, which is a big step. "The punishment is them being out for 12 months, but I am very hopeful that Davey (Warner) and Smith can come back to international cricket and be welcomed back by the Australian public and world cricket fans. Cameron Bancroft (as well), after nine months, can hopefully also come back and perform well for Australia."